Sports Injury, Recovery and Endurance. We offer a wide range of rehabilitation products, braces and exercise equipment. If we do not have it we will be happy to order in. 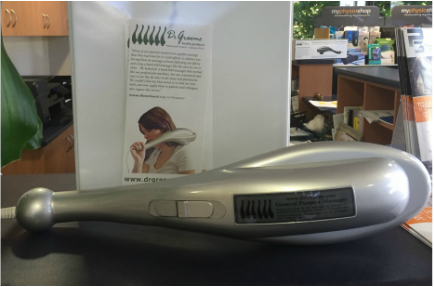 Newest item in our stockist is Dr. Graemes Massager. A powerful way to self massage. Please click below for more information on our Hyperbaric Oxygen Therapy Chamber. P3 Physiotherapy (Mark Hanegraaf) has been on the Sunshine Coast since 2001. We are located in Mary Street in Noosaville and have enjoyed this much larger/ more centrally located clinic for over 2 years now! We continue to deliver the best in physiotherapy treatment/care.